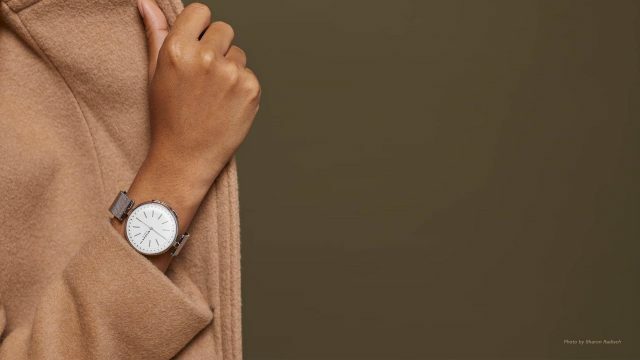 Denmark’s accessories brand, Skagen, announced that the firm is launching its smallest wearable gadget ever, and it is particularly made for the female gender. With a 36mm case, the Signatur T-Bar Hybrid Smartwatch features Skagen’s smallest case till now, which is also partnered by a 16mm wide strap. Even though there is smaller space, the smartwatch possesses all the capabilities of usual hybrid smartwatches. Some of them include customizing your own notifications, having a standard battery for better usage, sleep and goals tracking etc. Along with that, there are also some hands-free smartphone control functions, which enables the user to ring the phone if you can’t find it, control music, or distantly snap a picture. If you’re wondering how is this possible, the Skagen app, which is compatible on both Android and iOS, makes it possible for you to select your alerts and choose your function choices. According to the Danish firm, the alerts can be customized now to any hour marker on the watch’s dial, which will make it easier to monitor up to 6 contacts and 6 applications. 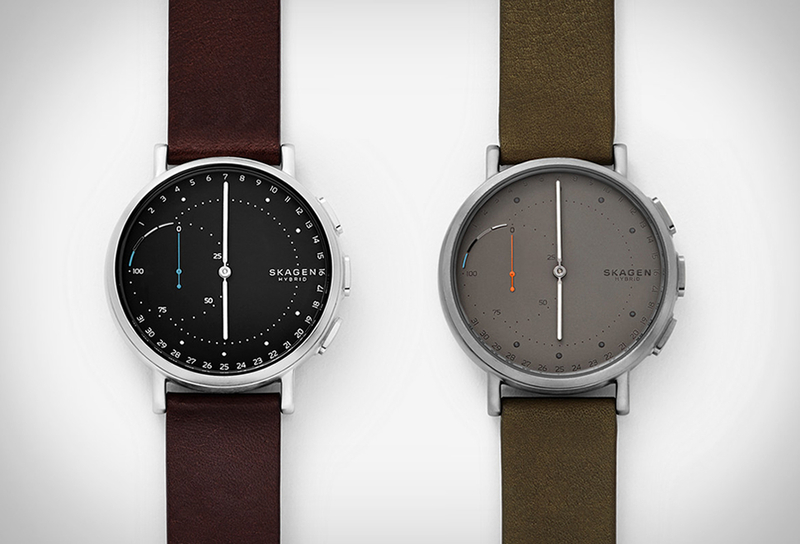 Moreover, further updates to the software will also arrive with time, according to Skagen. Users who have specifically small wrists will be happy after seeing the wearable technology moving into the sizes which fits all, after users previously having troubles to wear a smartwatch without it looking awkward on the wrist. However, the Danish firm is not the first hybrid smartwatch firm to target customers with smaller wrists. Many famous brands have opted to target the smaller wrists long ago, and people have a lot of options. Albeit, Skegan has gone one step ahead of its competitors, managing to put a smartwatch casing as small as 36 mm, while others are offering as low as 40 to 42 mm for smaller wrists. As a whole, hybrid smartwatches are expected to be more easily geared towards a wider target market, than the conventional dedicated smartwatches. 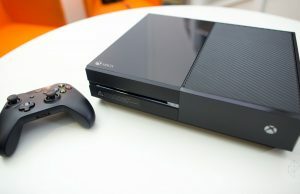 After all, it is much more convenient to make a casing this small when there are no screen limitations to abide to. Even though Skagen reveals that the smartwatch is mainly made for women, while men with smaller wrists could also use this as an option. The smartwatch comes in 4 different colors, ranging from silver and rose gold mesh straps to grey or black leather straps. The leather straps version is priced at £175, while the metallic mesh straps are a little more expensive at £195. Cleverly enough, wearable tech firms are now revealing their gadgets into the female market by introducing products in metallic rose gold and black colors gradually, and with the variety that Skagen offers for the Signatur T-Bar, it is brilliant.